everyone for your comments. It gives me a nice happy feeling inside. Well, the extension I mentioned now has a plan drawn up. 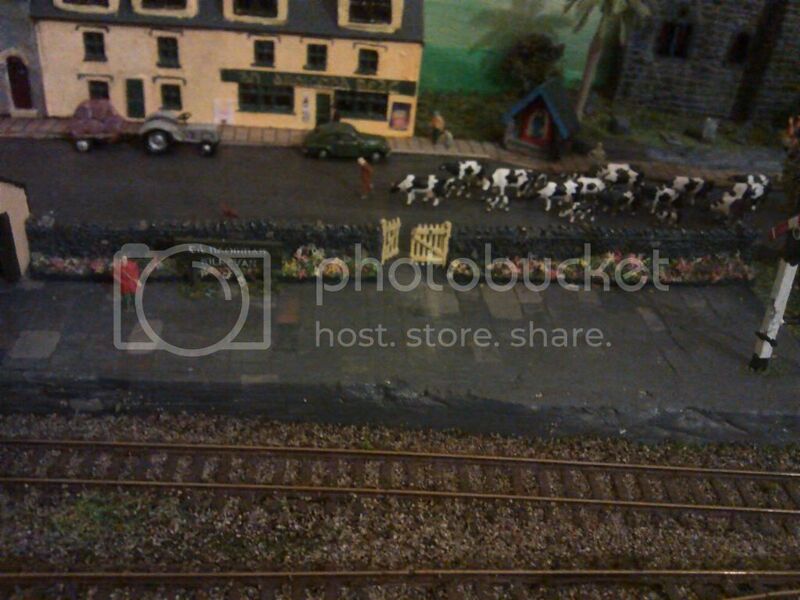 Its not set in stone scenically although the harbour will be bigger and there will be another church. Its does mean that I'll have a scenic join across the water which is a pet hate of mine. I'll just have to work some 'Moogle Magic'! 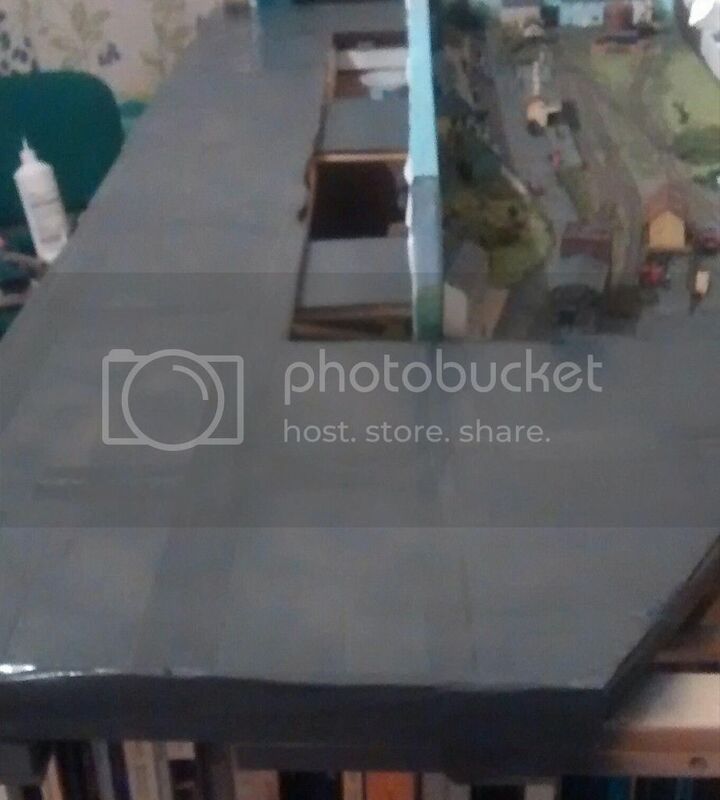 The only points added will be in the fiddle yard, I just want plain track on the scenic side. Gives the trains somewhere to go! Any scenics suggestions are welcome, particularly with links to anything in the southwest. Just had a look through this for the first time, too! Lovely stuff! Fascinating to see the development from scratch to where it is today. 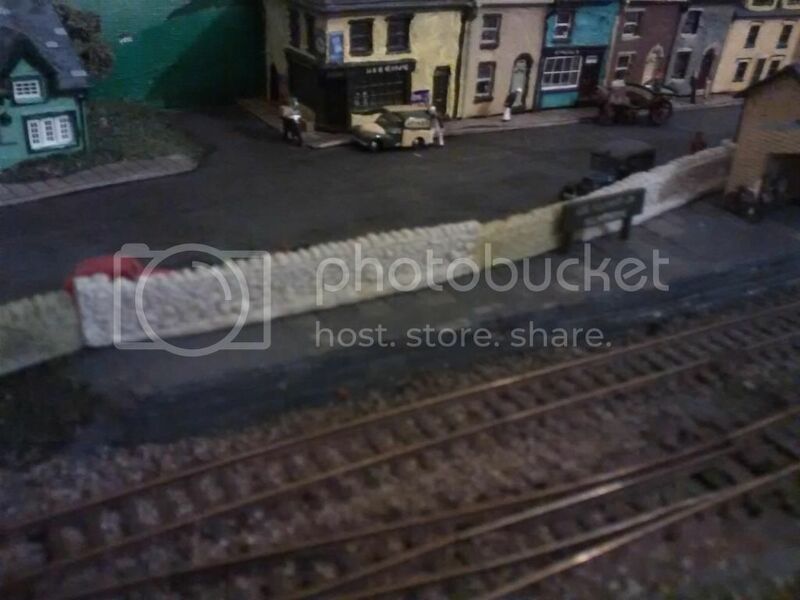 I notice the above post is dated last August - any news of the extension, or is your seaside layout occupying your time these days? Sadly I only have space, time and funds (lack of funds more like!) to do the one layout, hence I'm working on the seaside one. Thats not to say the extension won't be built eventually, it will when the above changes! I can at least work on loco's and bits of rolling stock for it in the meantime. No pier on this one EP! Very nice layout. 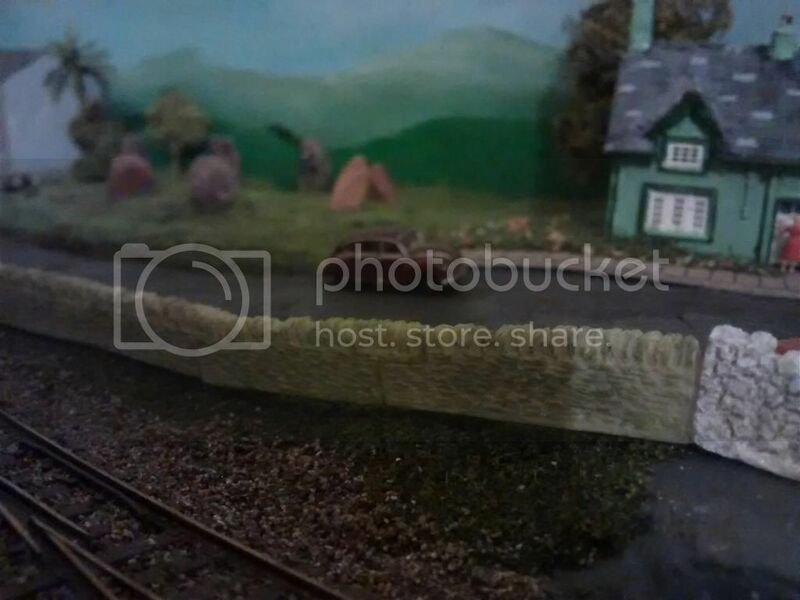 Would like to do an irish layout in the future, after Delrfyn is finished and I have more confidence to do some scratch bulding and kit building of locomotives. Well when you do, check out the NGF knowledge section, section I for all the Irish links to helpful info. 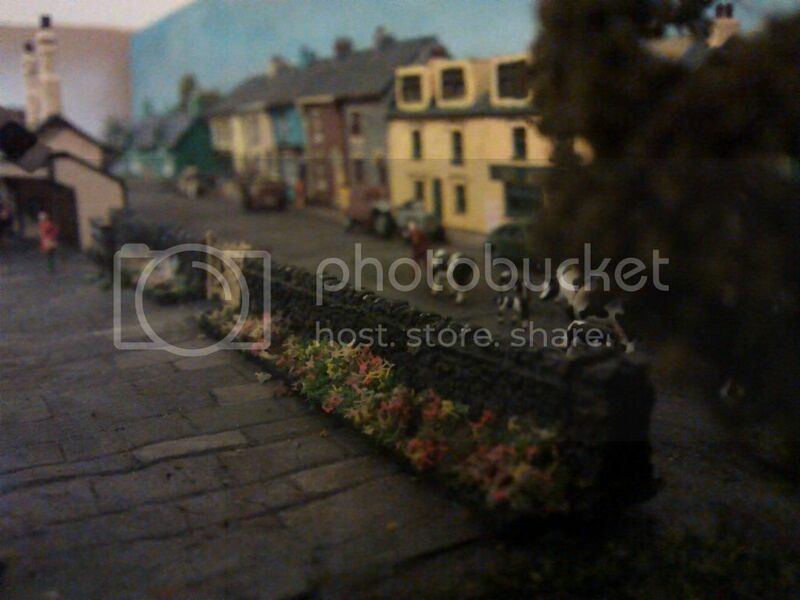 BTW its more about 'bashing' English stuff into Irish rather than kit/scratchbuilding! After a long time not doing any modelling, moving and various other things I've finally started some work on Kilnevan again. Been adding some stone walling around the railway. Need a lot of work still. A mixture of Liddle End and Jarvis if I remember rightly. Finish some with entry gate and flower beds. Apologies for the poor photos. Camera is still packed away in one of the many boxes from moving! Like the flower beds. How did you make them? guys. Its good to be back, even if its going to be only every now and then! 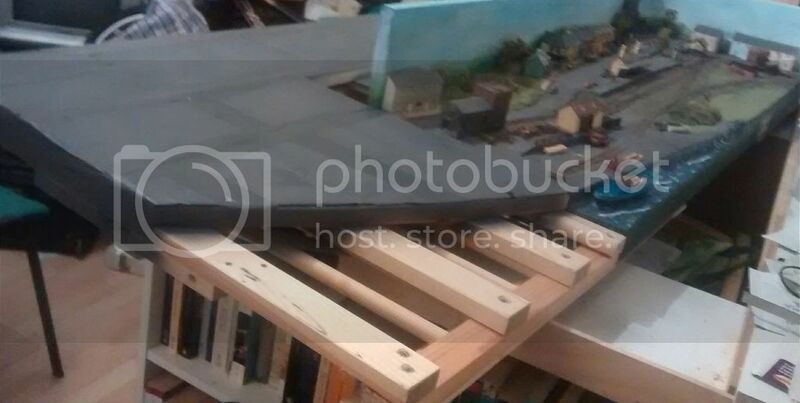 No work on the seaside layout. Its still packed away needing a table to put it on. A thin card base glued to the wall with an edging made from 'peel off' borders used in card making. The flowers are some multi coloured foam flock i got from a craft shop many years ago. Just glue and paint otherwise! I'm back and I've done some work on Kilnevan for the 1st time in over a year! Yes, I've finally extended the layout into a tailchaser, just like I've wanted to do for the last few years. 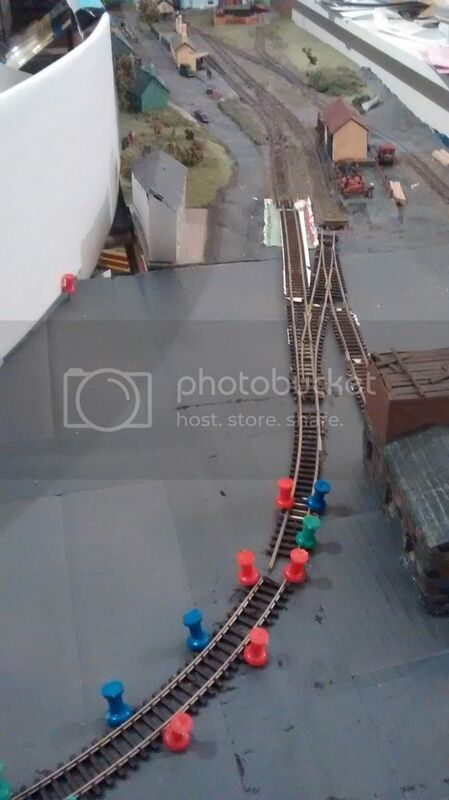 The layout now measures 6' 4” x 2' 7”, so not much longer than it was, but a fair bit wider. 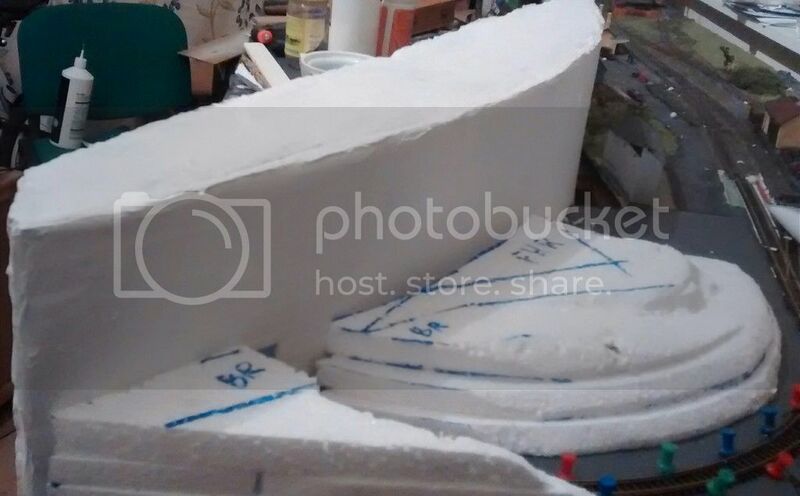 The original backscene has been cut back slightly and a new curved one added to it. This is card covered in canvas with wooden supports at the rear. 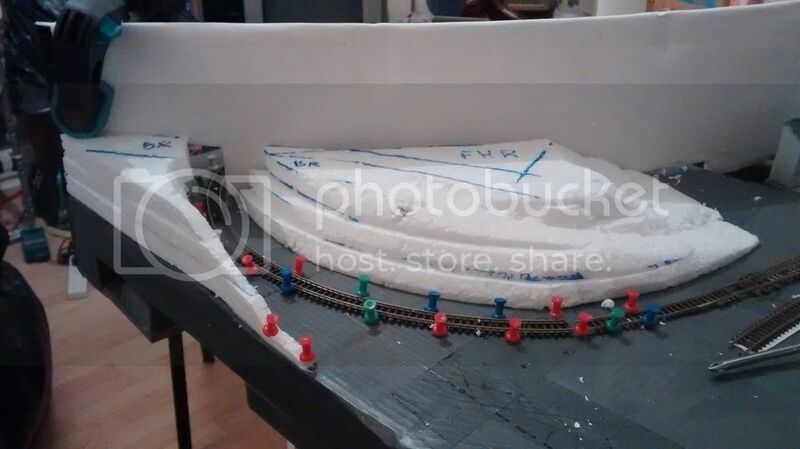 The track in the pictures isn't fixed down yet as the curve is an old length of code 80 and I'll be using code 55. I have most of the points needed, but it will be a while before I get the rest of the points and track thats needed. Meanwhile I can at least work on some of the scenery. 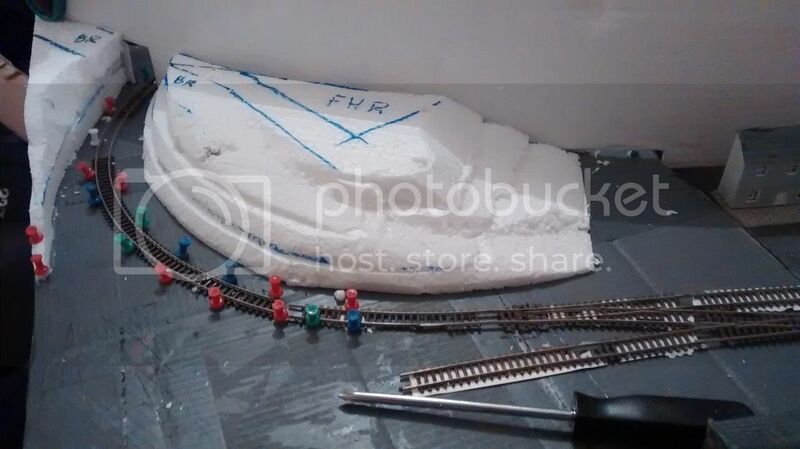 Made a start on some polystyrene formers for the only hill on the layout which will have a road curving up one side of it in order to cross over the railway where the scenic break will be. 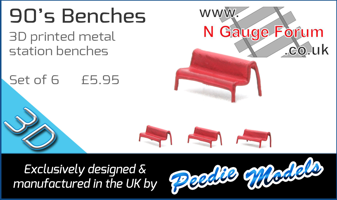 Need to find a suitable Cork area prototype bridge to model! There will be a ruined fortified house on the hill. More updates will follow, they just won't be as frequent as I'd like.